Some things never change despite swings in political leadership. Throughout the ebb and flow of our modern history, developments in federal policy and those at the top don’t change the need for educated people from across all parts of our society to move the country toward success. Particularly in today’s unique landscape, UNCF’s relevance is as important as ever. We continue our tradition of nonpartisan advocacy for the country’s HBCUs, for first-generation, low-income African American students pursuing college degrees and for K-16 education reform despite political change. We affirm that providing a quality education for all Americans is a bipartisan cause, especially when it comes to improving the lives of students who lack the resources and guidance that make a quality education accessible in the face of those who question the need. We regularly put those words into action. Earlier this year, UNCF worked with a bipartisan coalition with U.S Representatives Budd, Adams and Scott and with the U.S. Department of Education and the Trump administration to acquire financial relief for institutions that were deeply affected by the economic downturn in 2008 and by the Parent Plus Loan crisis. 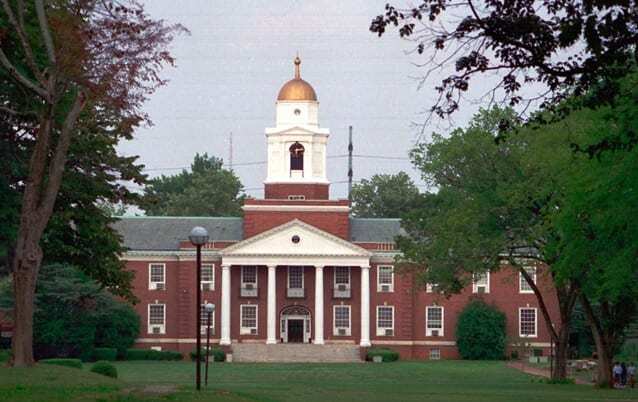 The U.S. Department of Education announced the names of the eight private HBCUs that were first impacted by the “deferment authority” of the HBCU Capital Finance Program. UNCF noted the ways in which these factors placed a financial burden on its member institutions. We worked with bipartisan partners to place language enabling the secretary of education to grant loan deferment with a $10 million appropriation added to the FY 2018 Omnibus Appropriations Law, which Trump signed into law in March 2018. In addition to deferments made for future fiscal years, the awarded institutions were also refunded by the federal government for the payments they had already made during this current fiscal year.